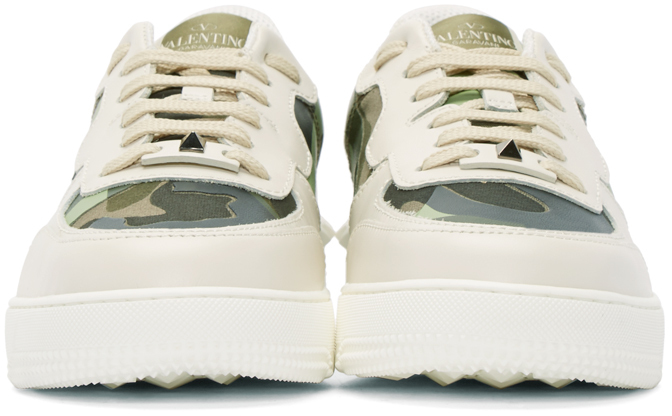 Can the whimsy and energetic with an underlying luxurious attitude of Valentino be stopped nowadays? The brand has been just doing it right and hitting a lot of menswear high notes for the past few seasons especially with their footwear. 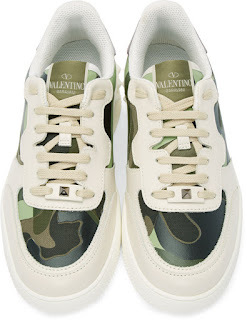 The clever play on premium skins with their remixed camouflages like on this latest Off-White Camouflage Rock Be Sneaker is a winner. 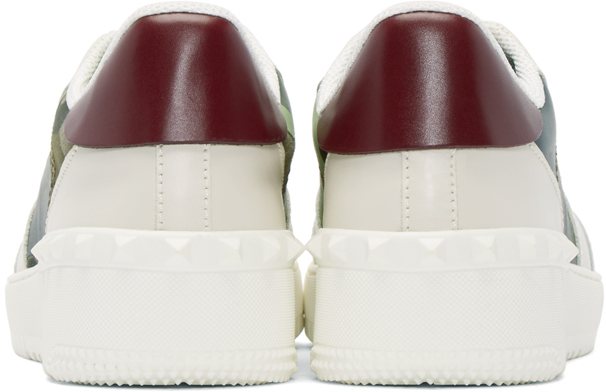 A great color for the season, this Rock Be Sneaker boasts a suede upper that complements nicely with the cheeky camouflage print panels and a contrasting burgundy leather top heel. 'Rock Be' these all season. Available now at Ssense.com.